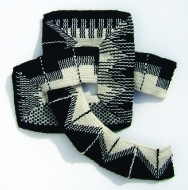 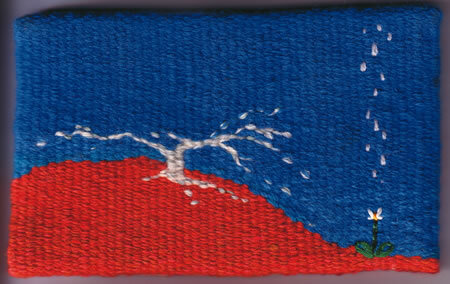 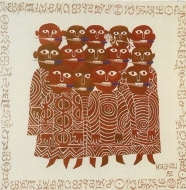 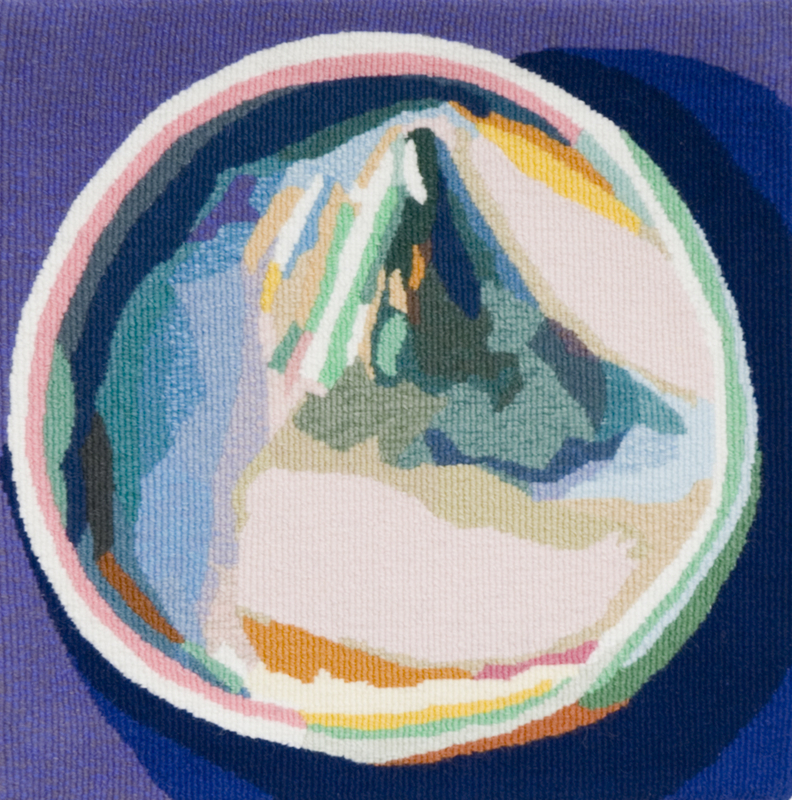 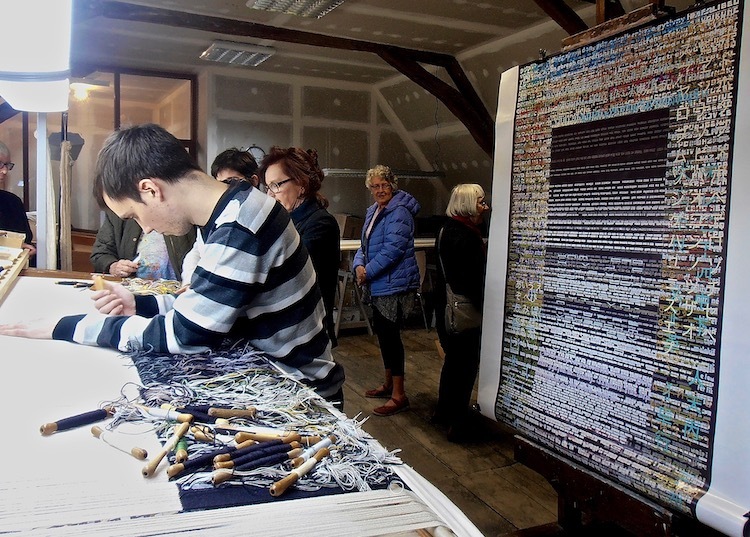 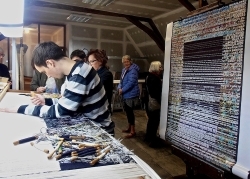 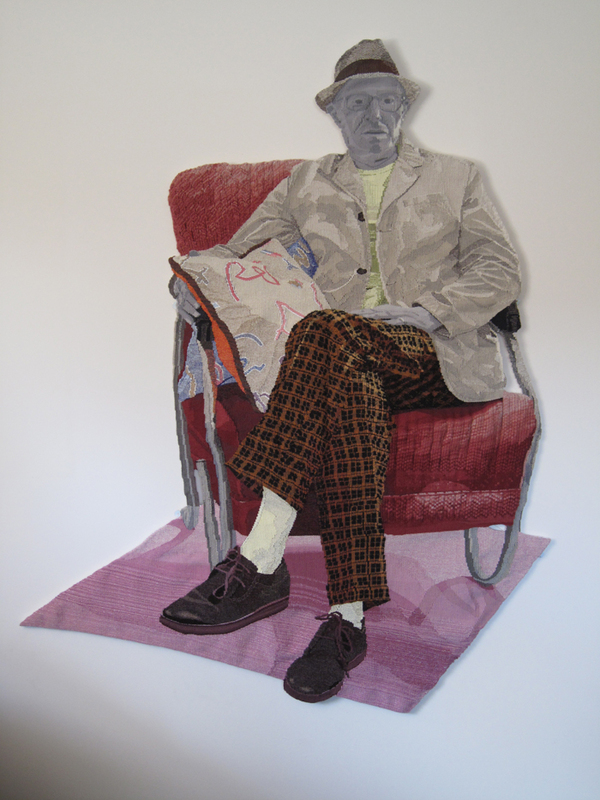 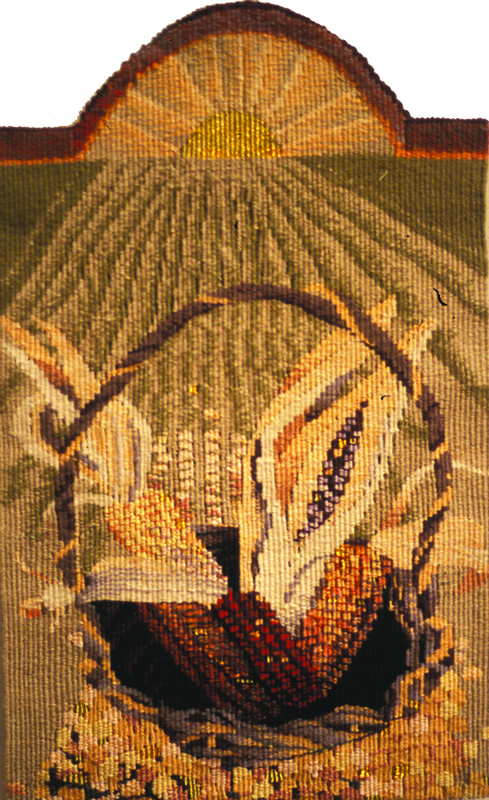 The American Tapestry Alliance is pleased to announce the first in a series of juried small tapestry exhibitions: “Connections: Small Tapestry International.” This show invited tapestry artists to expand their horizons by shrinking dimensions, and to connect technique and concept in a body of new and intimate work. 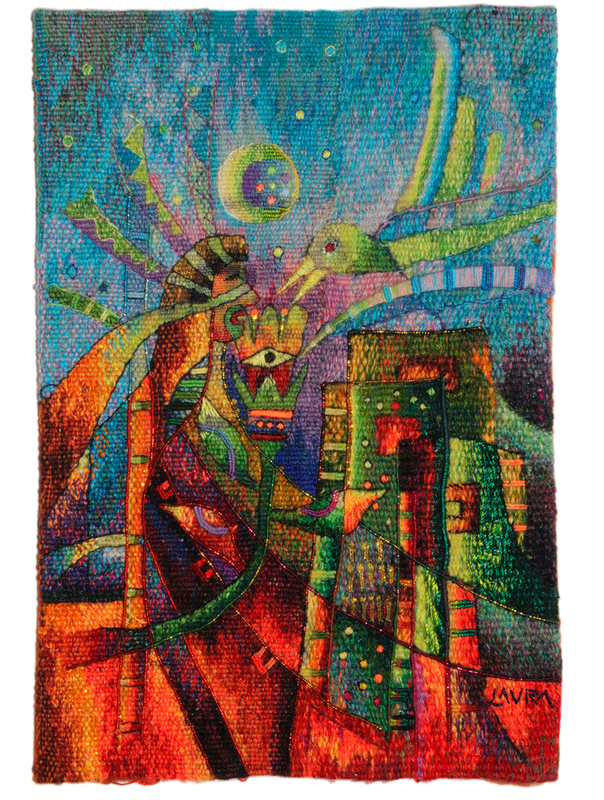 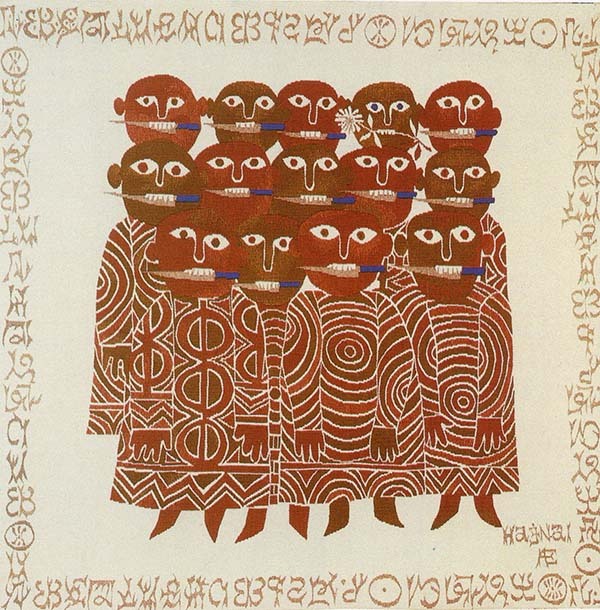 As wall sized tapestries command a wall, these pieces, individually and collectively, will catch the eye, invite us in, and connect us as we share the unexpected. 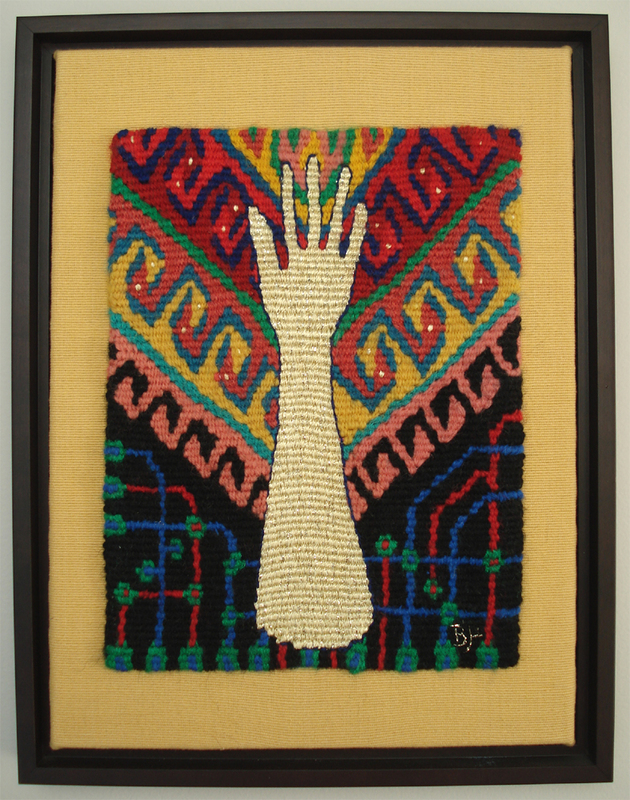 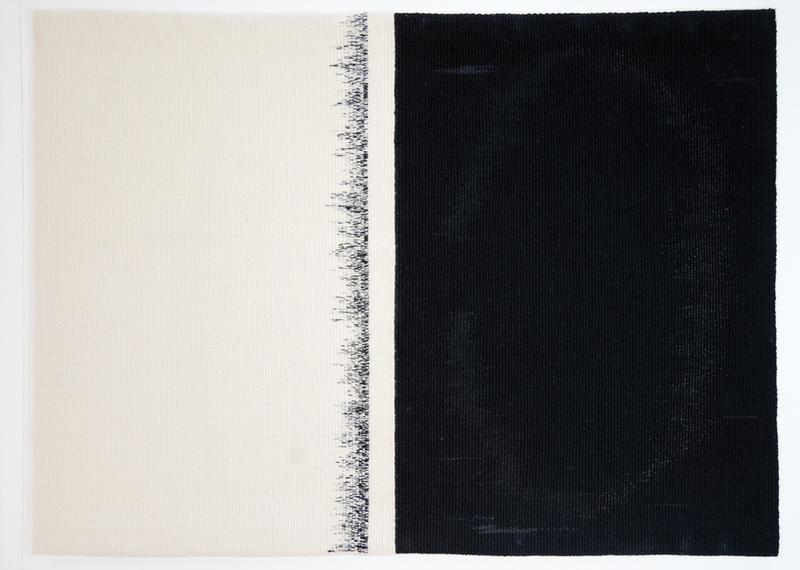 Because the goal is not merely to rescale large work, but to explore the boundaries of size, the exhibition will challenge preconceived ideas of tapestry, unfolding the potential of small scale work as it explores the personal and the universal.